Kim Jong Un has apparently made another major change to the military leadership, this time replacing Kim Jong Gak as the Minister of the People’s Armed Forces (who essentially acts as the North Korean Defense Minister) with Kim Kyok Sik after only seven months in office. The apparent move, still unconfirmed by North Korean sources, comes amid reports that Kim Jong Un has conducted far-reaching “loyalty checks” on key party, government and military officials, after he labelled those without allegiance nothing more than a “stick” in a recent address to security officials. If true, the move is nearly as surprising as former Chief of the KPA General Staff Ri Yong Ho’s sudden dismissal in July. Kim Jong Gak, like Ri, was a Vice Marshal and assumed to be a major part of the succession process on the military side. He was also a member of the Politburo, National Defense Commission and Central Military Commission, one of only eight men in North Korea to hold that distinction, and was informally ranked seventh (one ahead of Jang Song Thaek). In addition, he was the 6th most frequent accompanier with Kim Jong Un thus far and one of the “Gang of Eight” that accompanied Kim Jong Il’s casket during his funeral procession (see the NK News Leadership Tracker to follow the movements of the North Korean leadership). 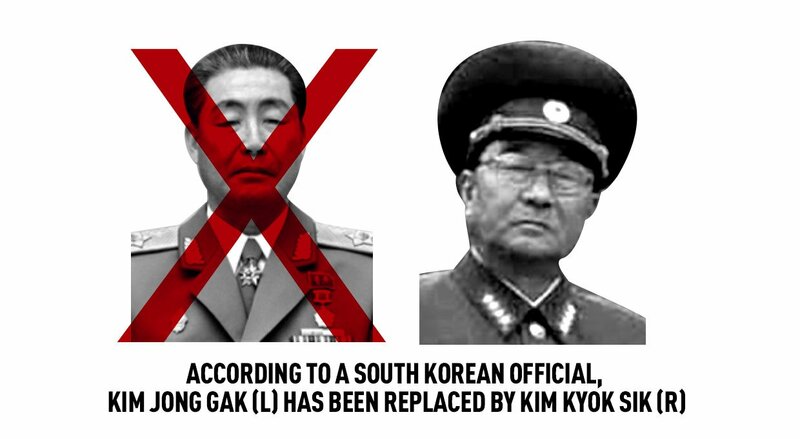 Kim Kyok Sik, for his part, had previously served as a Chief of the KPA General Staff before being removed in February 2009 and demoted to Commander of the Western Region (which has oversight of the areas surrounding the Northern Limit Line). 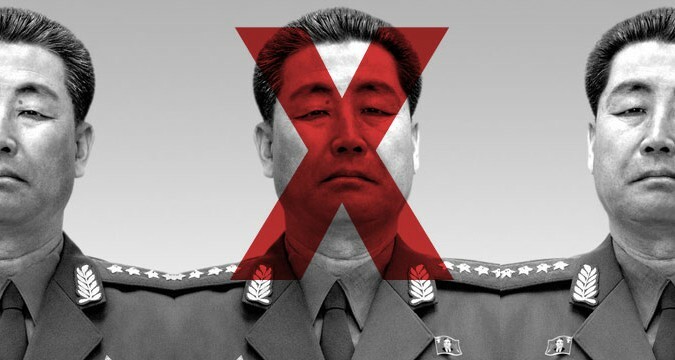 During his tenure as Commander of the Western Region he is believed to have been responsible for sinking of the South Korean Cheonan and is alleged to have been behind the decision to shell Yeonpyeong Island (although none of this is confirmed by any North Korean sources). More recently he was promoted to Vice Minister of the People’s Armed Forces. Intriguingly, Kim made his first public appearance in North Korean propaganda since being removed as Chief of the KPA General Staff; furthermore, he was listed ahead of a number of alternate members of the Politburo. If the replacement is true, and confirmation either way will likely come soon from North Korea, it represents another strong move by Kim Jong Un to assert control over the military. The first was the appointment of Choe Ryong Hae, essentially a civilian despite the fact that he does hold a military ranking, as Chief of the KPA General Staff in April of this year. The move is certain to raise worries that Pyongyang is preparing some sort of provocation. The move will also renew concerns over instability within the North Korean leadership. Seven months for a Minister of the People’s Armed Forces is historically unheard of in the North, which has only had nine MPAFs since 1948 (including Kim Jong Gak). The next shortest tenures were Choe Kwang (16 months) who died of natural causes, and Kim Yong Chun (3 years, 2 months) who was replaced by Kim Jong Gak.